RENTON, Washington (WABC) -- If you think roses on Valentine's Day are too conventional, here's an alternative! A company in Washington State called 'Mystery Potato' sends spuds to people. 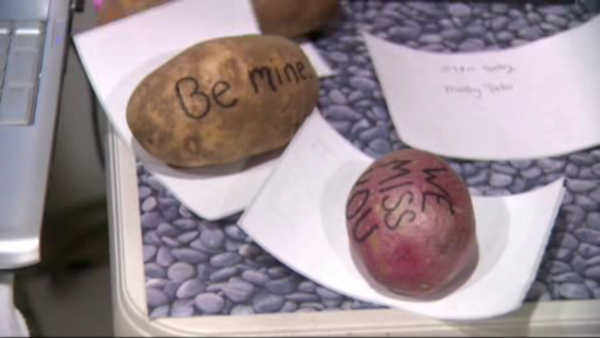 Workers write your message on a potato, and then send it to the recipient. It started small, but the concept went viral, and is now big business. "We actually have about ten contractors here in the United States, and about ten contractors internationally who create potatoes for us and ship them all over the world," says Jeff Kelly. According to the company's website, nothing says 'I Love You' like a potato.